China's Basketball Girl and Her Obscure Desire to Live Her Dreams! 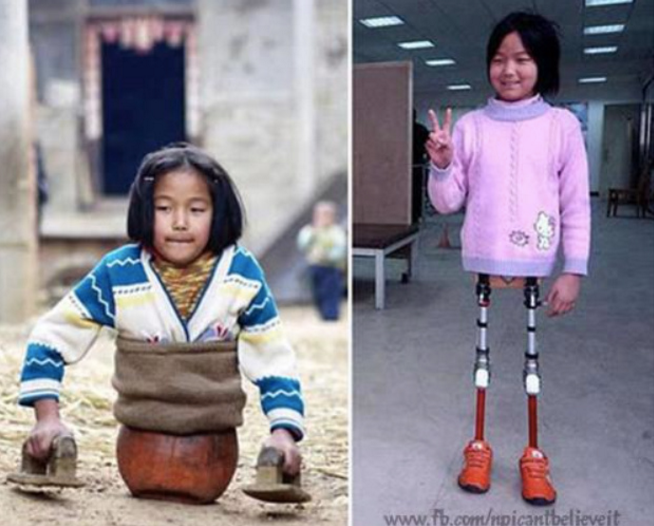 This story of a little girl in China, who lost her legs after a car accident, had made millions of people around the world inspired to achieve their dreams despite of shortcomings in their lives. 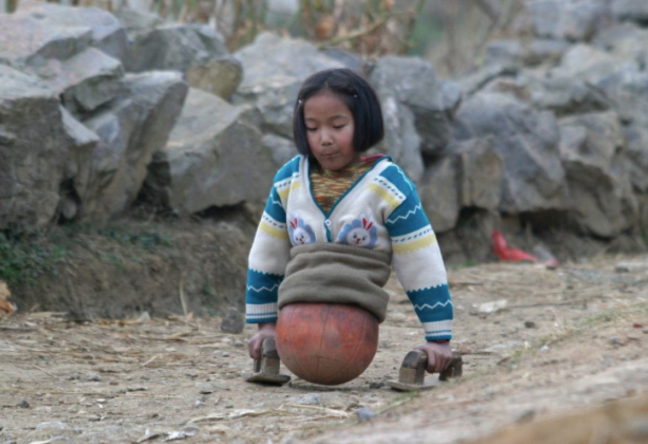 Meet Qian Hongyan, from the province of Yunnan, South West China, made the headlines in 2005 when she was captured 'walking' with the help of a basketball. According to some news sites, that same young woman has before been already a champion swimmer with Paralympic dreams. 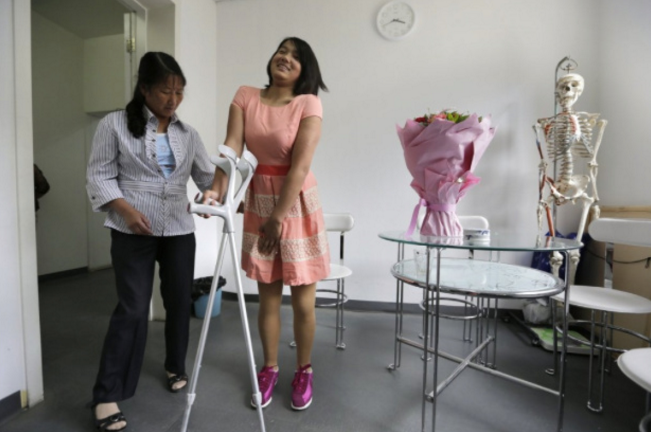 It is stated that in 2009, the amazing and awesome girl became a national champion in the Chinese National Paralympics Swimming Competition. And lately, just this last September, she won another gold medal in the 100m breaststroke final in the Yunnan Province Paralympic Games. Let us take a closer look on her very inspiring story. 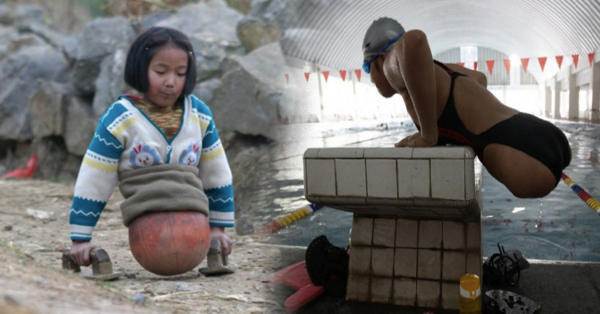 Our amazing girl, who was forced to use half a basketball as her prosthetic body, has inspired millions of people around the world with her ambition to compete as a swimmer in the 2012 Paralympics in London. Qian is said to have swam about 2000 meters a day and trains really hard. “Qian Hongyan studies hard. She never grouches in training, although she was confronted with many difficulties at the beginning, ” her coach said. It is reported that Qian was injured tragically in an auto accident when she was only 3 years old. 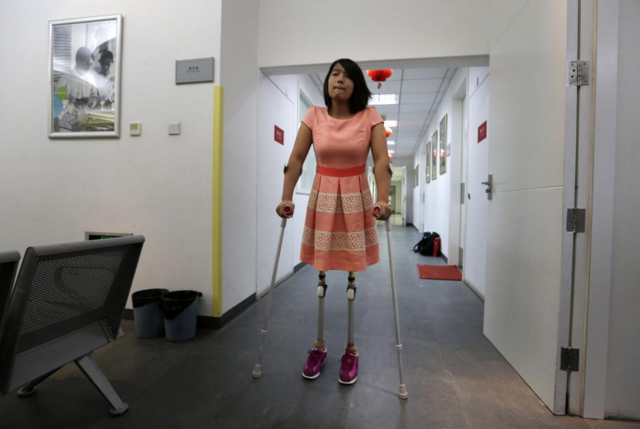 To insure her survival, the doctors were forced to amputate her legs. 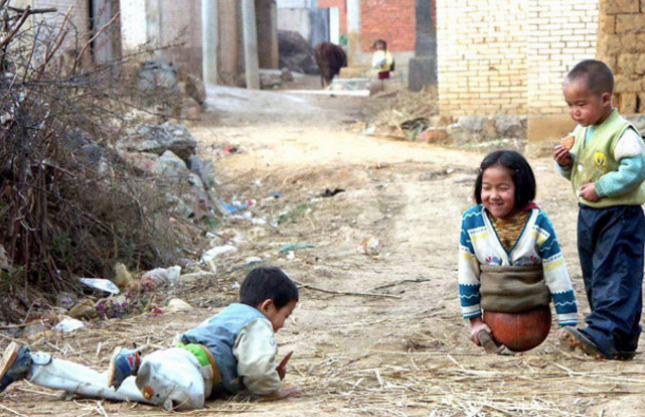 Qian’s family, living in Zhuangxia, China, was unable to afford modern prosthetics and instead used a half a basketball to get around on. Once at the ball, she uses two wooden props to help her move around. 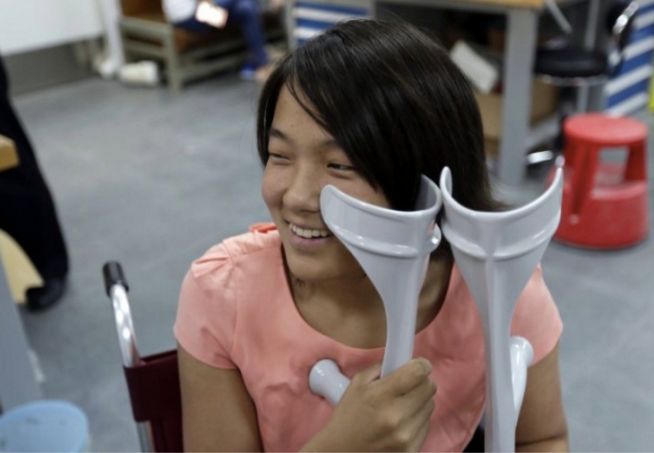 Qian now has a pair of proper prosthetic legs, but still says she likes to use the basketball from time to time as it is easier for her to get in and out of the pool with. What a very humble and down-to-earth woman. This is very inspiring, especially to those people with disabilities and all of the people who have shortcomings within their lives, all of us, should I say. But, in amazement of what this unfathomable desire to overcome challenges, I therefore conclude that we must also do our best in every simple way we can and our dreams will follow.